dudefinal, I'll try to explain this the best I can (I'm bad at explaining things). 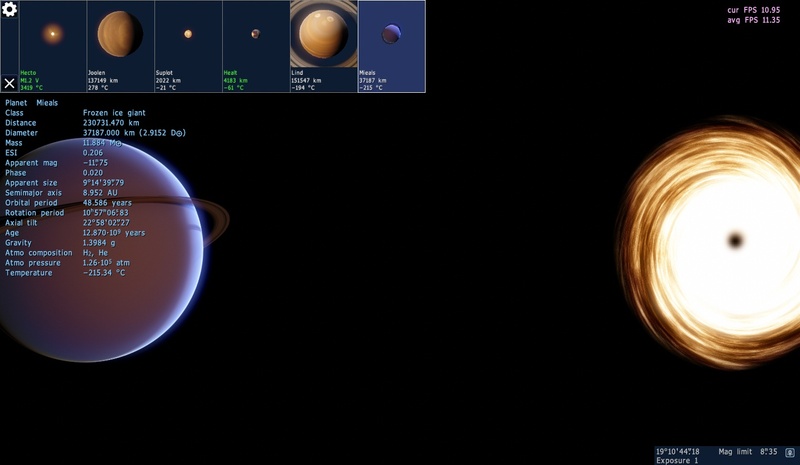 First, export the textures of your planet (color, specular, bump, glow). 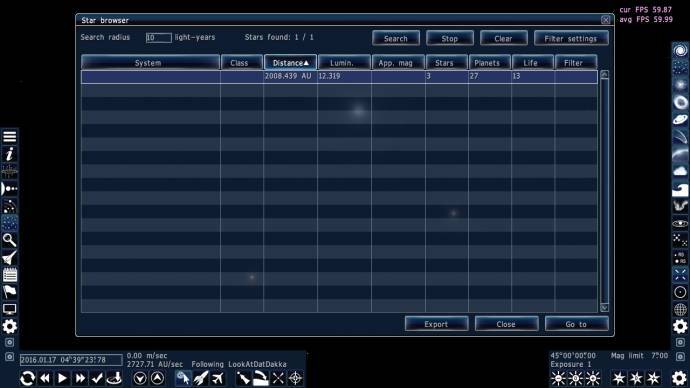 Then, edit your glow map to the way you want it to look. Okay, now the complicated parts. 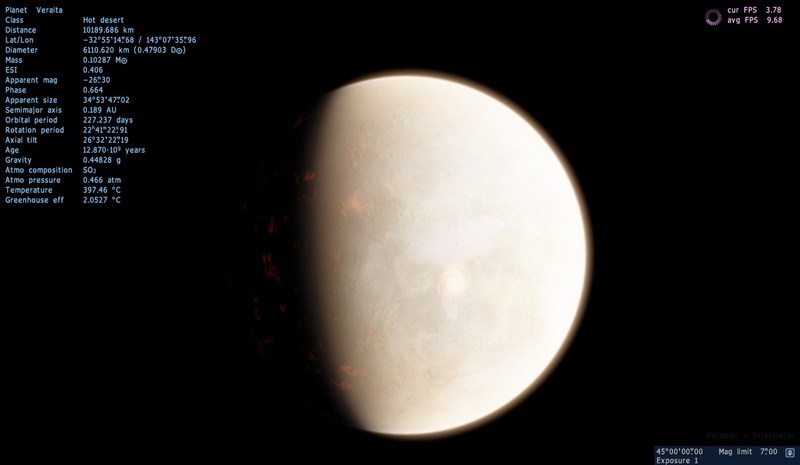 Now, find the SE file folder and go to textures>planets>PlanetTexSE.pak using WinRAR or WinZip or whatever. 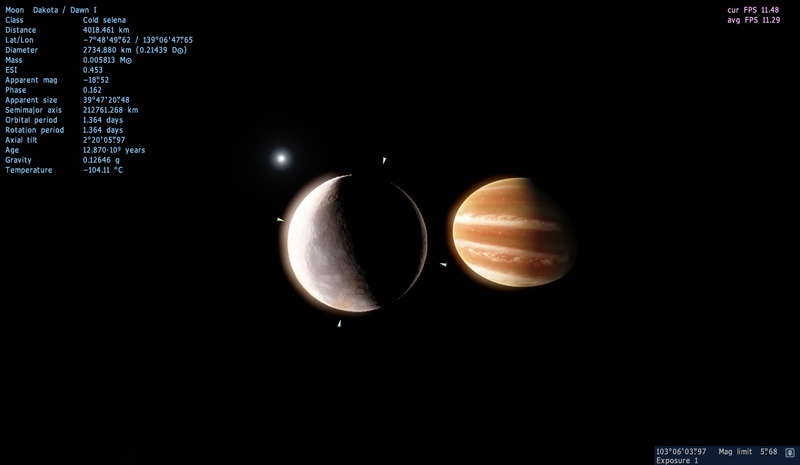 You will see a bunch of planet folders, with textures in them. 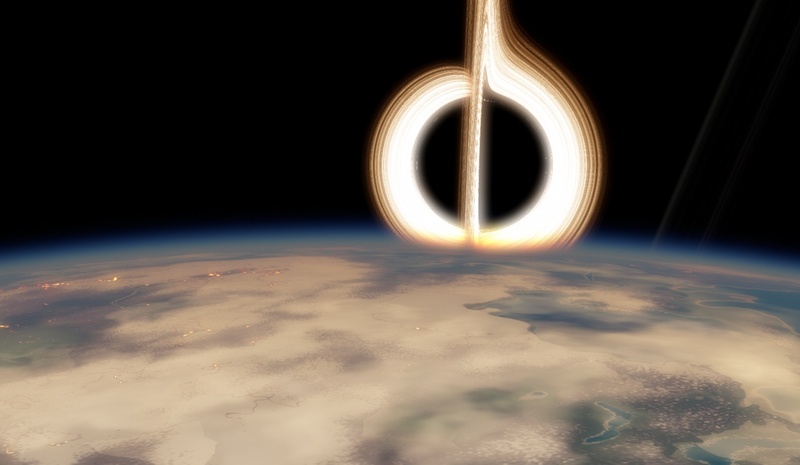 Now is the time to make your own folder for your planet. I put the folder as an attachment for you. 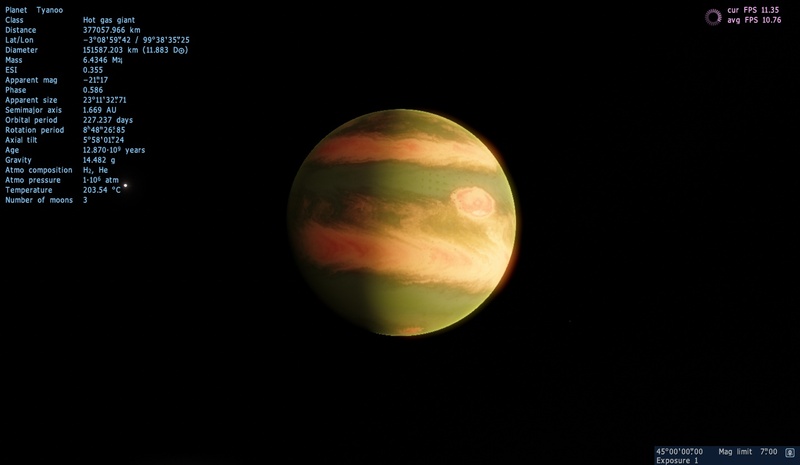 Now, find the SE file folder and go to textures>planets>PlanetTexSE.pak using WinRAR or WinZip or whatever. Into it you can pack all your textures. Of course, in your scripts, the path needs to be adjusted, ie: DiffMap "myfolder\mytexture. *"
You can - and that is recommended - make your own .pak file. Pack 'myfolder' to myfolder.zip and rename it to myfolder.pak. 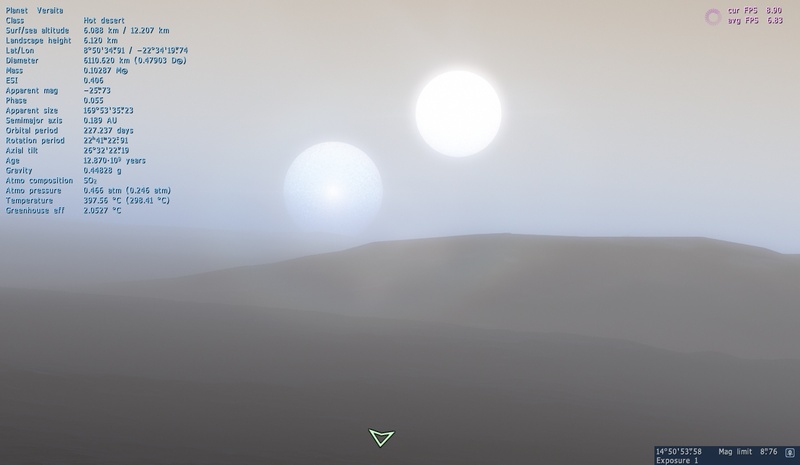 Then you can remove the folder 'myfolder' from the folder 'planets'. 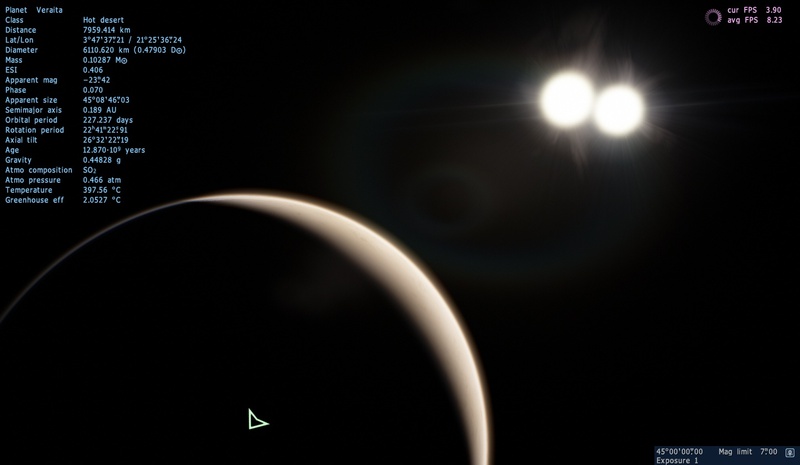 This system contains 2 stars, 10+ planets, and 30+ moons, I think. 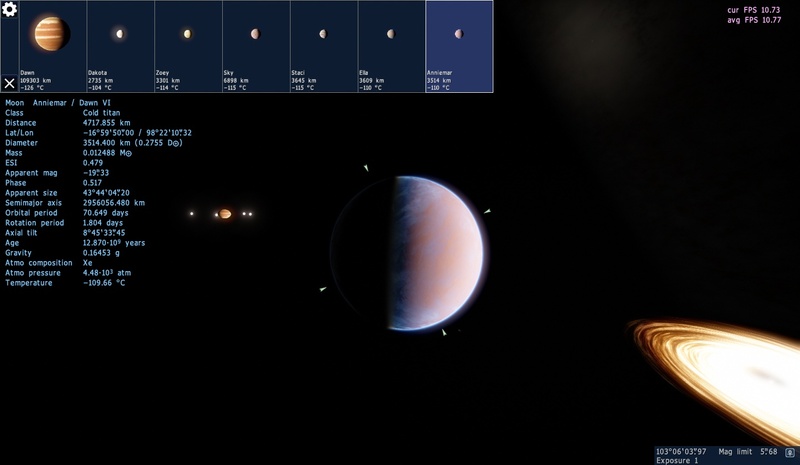 I'll go into more detail later, but here are some screenshot of some planets. 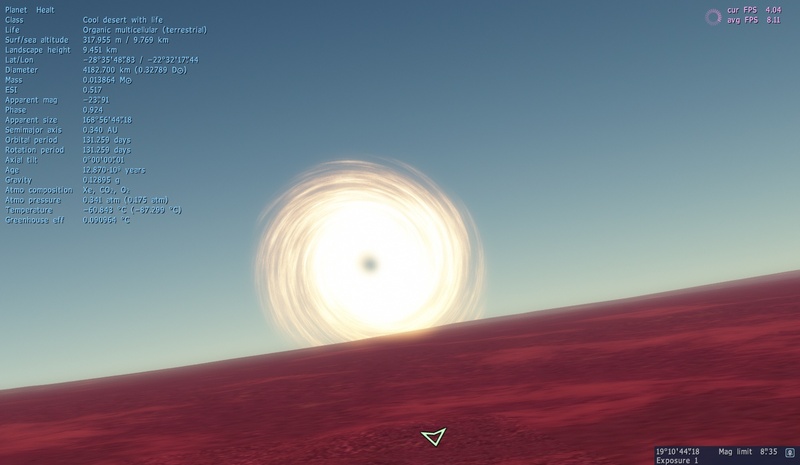 You may need the Interstellar addon to make the wormhole work in the future. Be Warned! 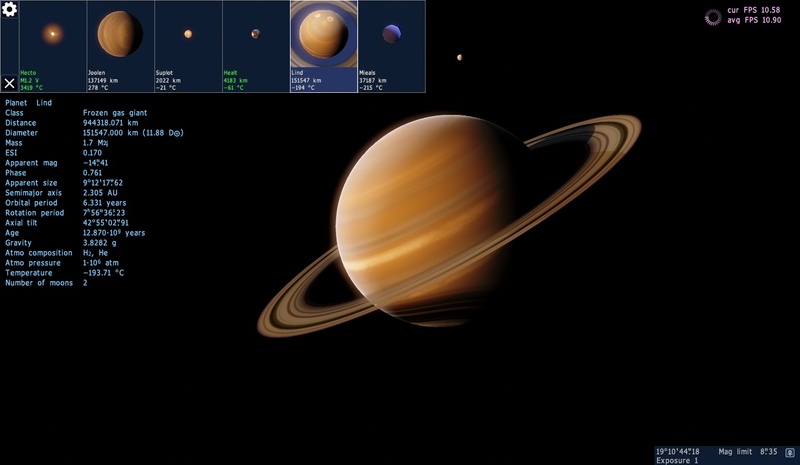 The solar system file is massive! I have everything necessary to make it look like the way it does in the screenshots in the files! The shaders are necessary! Also this has all been made for RC1! If you would like a Patch 8 version as enough and I will provide. 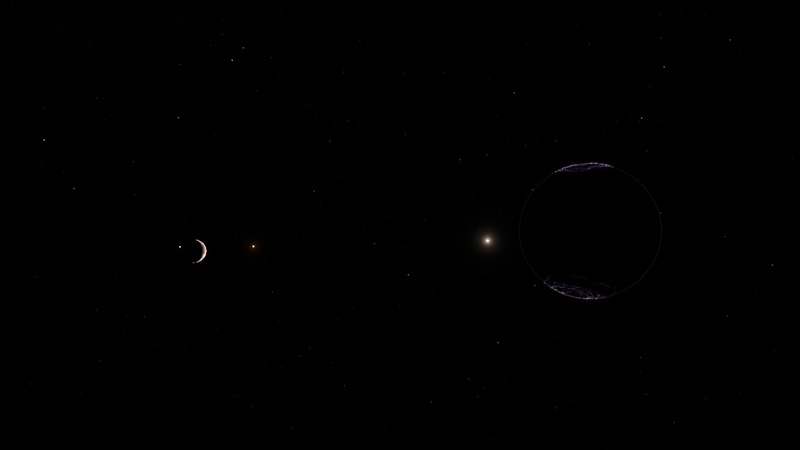 Up in the top right is Hypatia(MU). 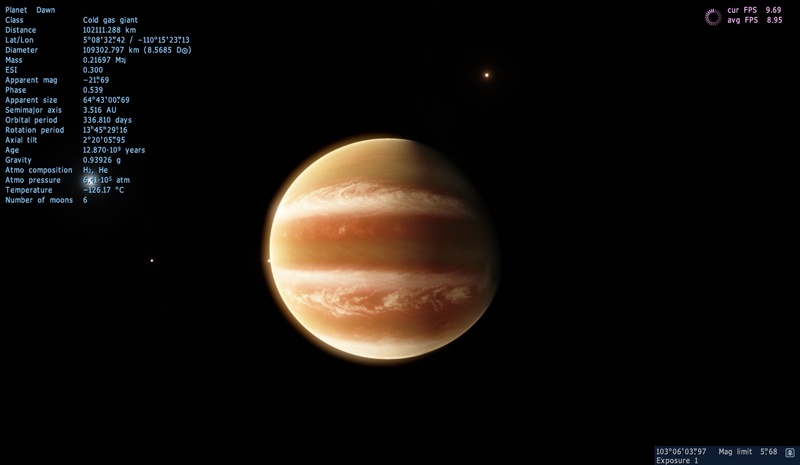 I couldn't just name it Hypatia because SE would think it was in the solar system. Anyway this planet is home to humans that migrated from Earth. The planet already had planet and animal life when they arrived. They have lived on the planet at peace for about 2000 years. But honestly no one knows for sure. 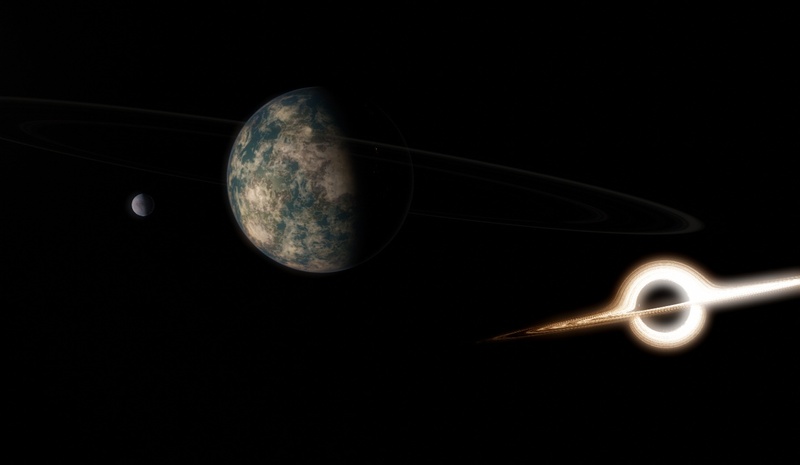 The planet has had a rough past with asteroids so they have built a planetary defense system. The planet is a very pleasant 10 - 90 degrees year round. The days are 23 hours long. The years are about 450 days long. 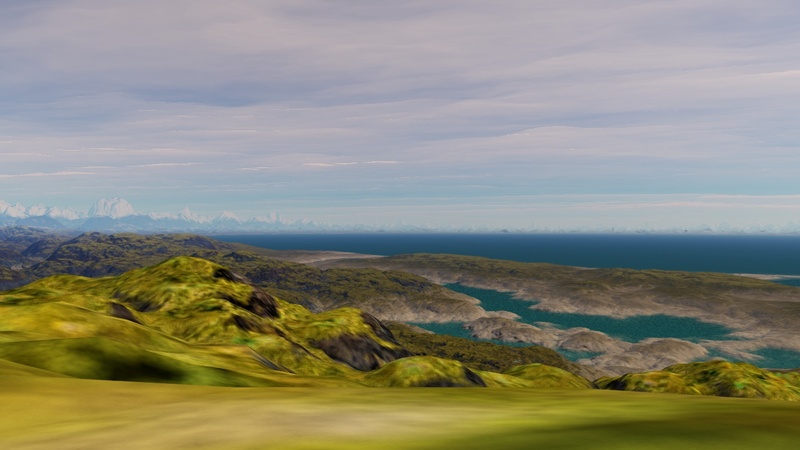 The planets highlands and rocks are covered with purple plants and mosses while the lowlands and tropics are covered with earth like plants. Hypatia has and axial tilt of 18 degrees which is very similar to earth. 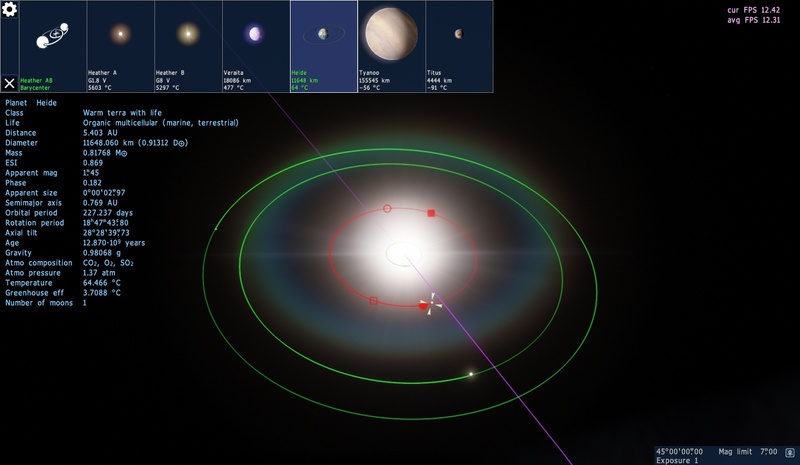 The planet has an atmo pressure of 1.06 and 0.87 gravity. This means longer lifespans because you don't have to breathe as much therefore using less energy! 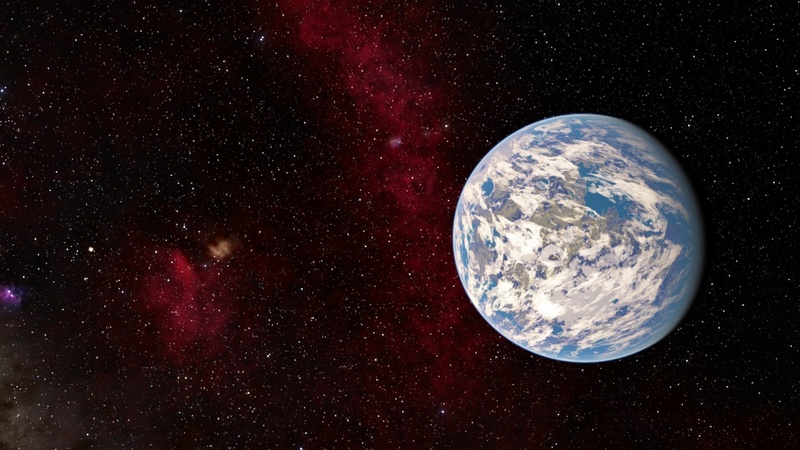 It is older than earth at 5.192 billion years old. Orbiting the planet are thousands of space hotels and satellites. The following pictures are without the satellites and city lights. These were taken before I put them in. Up in the top left we have Guroon. Guroon means desert Malagasy. 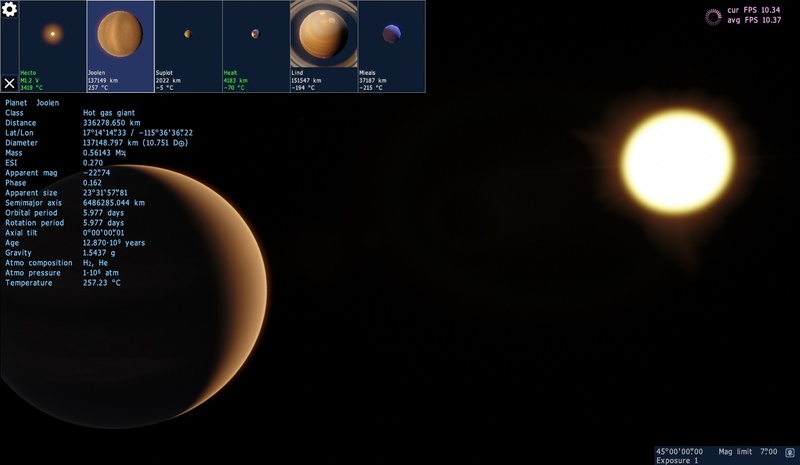 The moon has a beautiful Titan atmosphere that glows red where the light ends. The red, orange and purple sunsets are very pretty on Guroon. 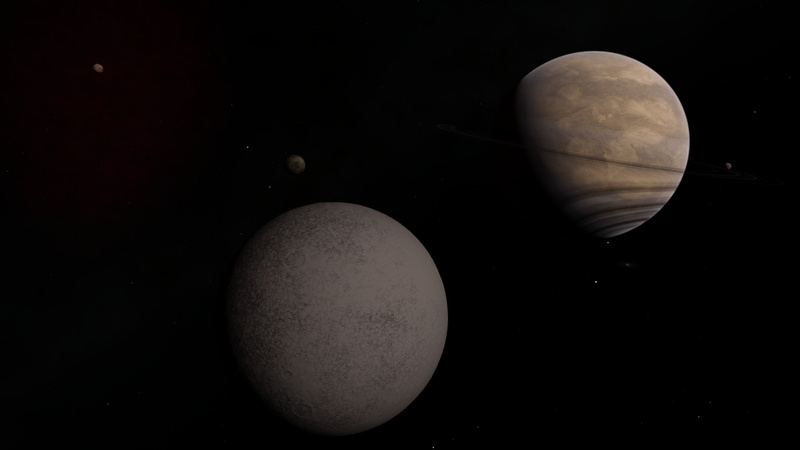 The moons surface is littered with craters of all shapes an sizes which are the main features on the terrian. The second most prominent features on the planet are giant dunes and Venusian wispy landscapes. 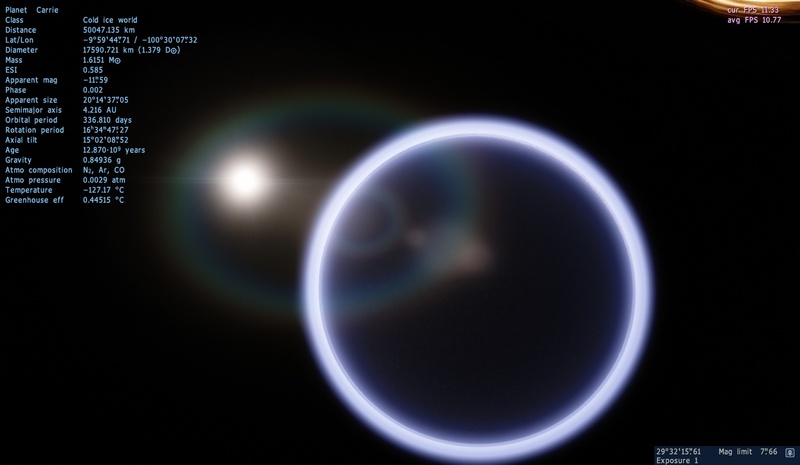 It is tidally locked to Hypatia just like our moon it has very low gravity and atmo pressure. You would definitely not want to stand on here without a spacesuit. Especially with its scalding temperature of over 190 degrees Fahrenheit. 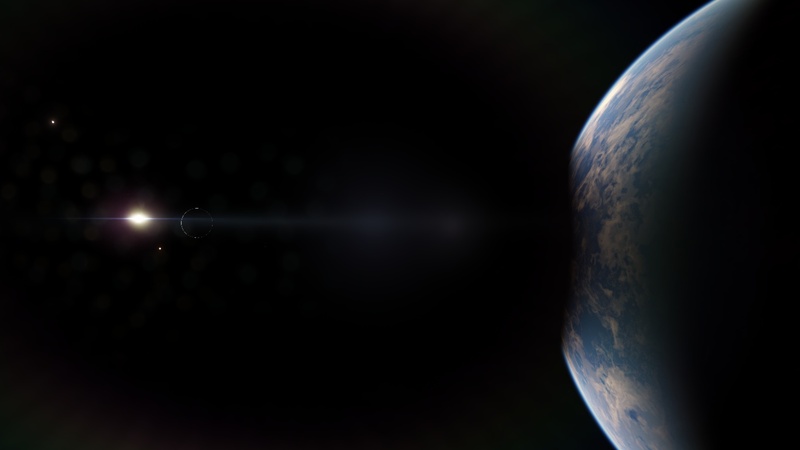 Orbiting the moon are hundreds of space hotels and satellites. 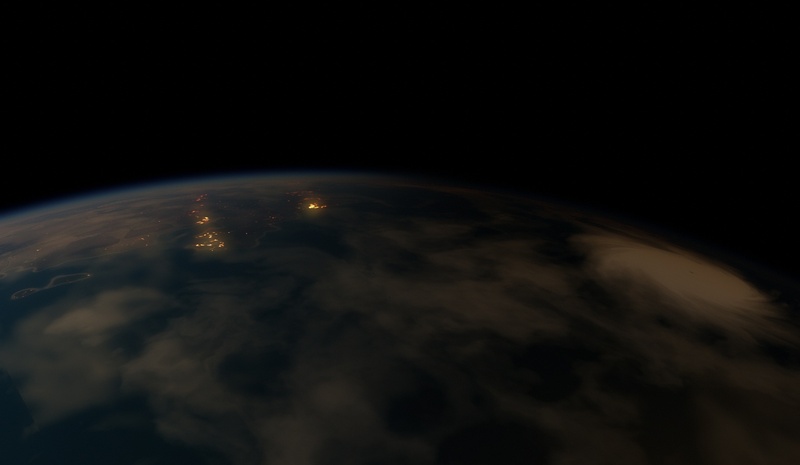 This next screenshot was also taken just before I implemented the city lights and satellites. In the front we have the Multipurpose Planetary Service Station or MPPSS for short. Kinda has a little ring to it don't ya think. The humans have built a massive and extremely dangerous satellite that orbits around their planet. 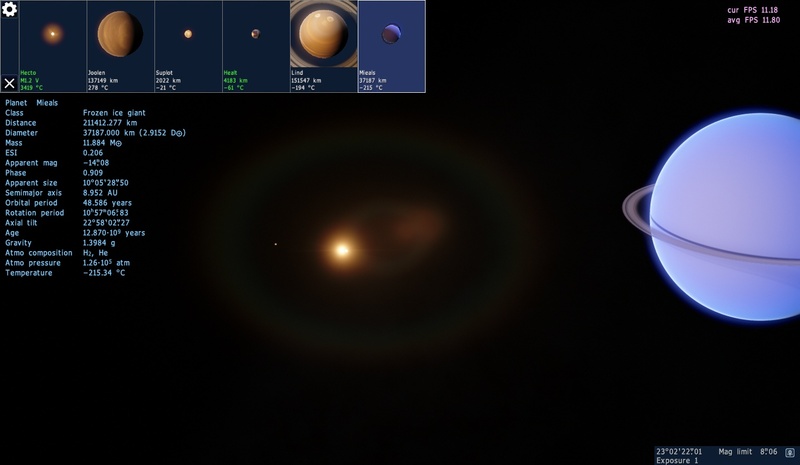 It is called the Multipurpose Planetary Service System or MPPSS for short. It is used as the source of the planets energy, the central AI government, the storage and backup of planetary documents, the home to over 4 billion humans, defense from asteroids, and much more. It is basically the life line of the planet. On it is three cannons each with the power of destroying a star. 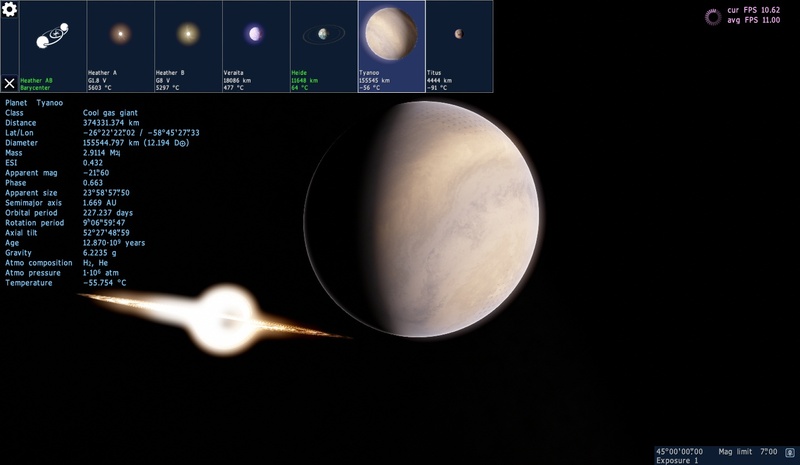 It is more powerful than a Death Star from star wars yet it is smaller at 543 miles! How does it work you ask? Well the way it works is the most dangerous object in the universe, a contained higher energy vacuum. It is contained in a spinning cylindrical centrifuge that spins faster than the speed of light by warping the space around it. (Mini Alcubierre drives on each end.) This allows the vacuum to "expand" forever which powers the drive. So it also powers itself. The danger is that if the containment is breached it would result in the slow heat death of the universe as the universe is slowly converted into a higher energy state at the speed of light. If containment fails though they have a backup system that consists of a superconducting magnet moving at the speed of light and another drive. So the general consensus is that it is safe and because of this more than 4 billion humans live on the station in space hotels. Orbiting this satellite are an array hundreds of space hotels and satellites. Download the system here. The file is 400 mb. Mainly because of the cloud textures. Thanks! 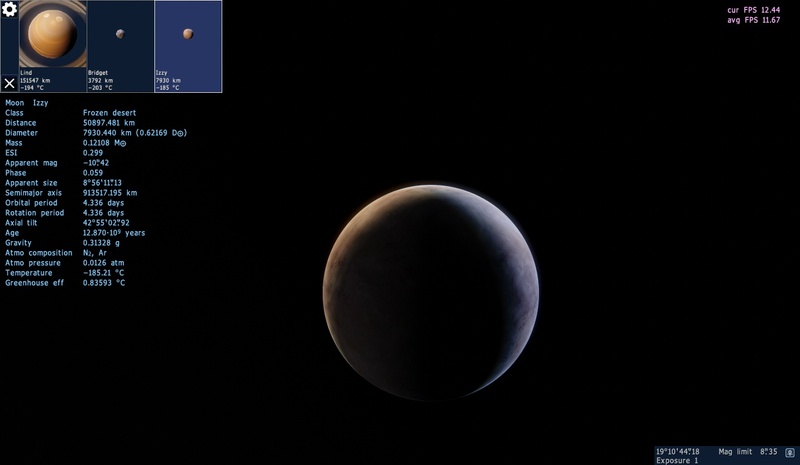 I will post again tomorrow with three planets and one moon. My computer can run it but when I look at hypatia while also looking at Guroon the fps will dip down to an average of 1 or 2 in short bursts. Even if the planet is on the other side covered. 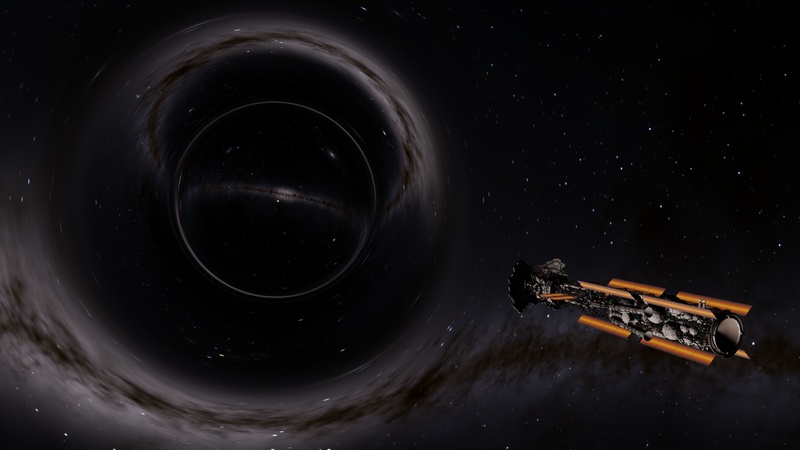 And btw the rings on the MPPSS move like hover cars moving around. 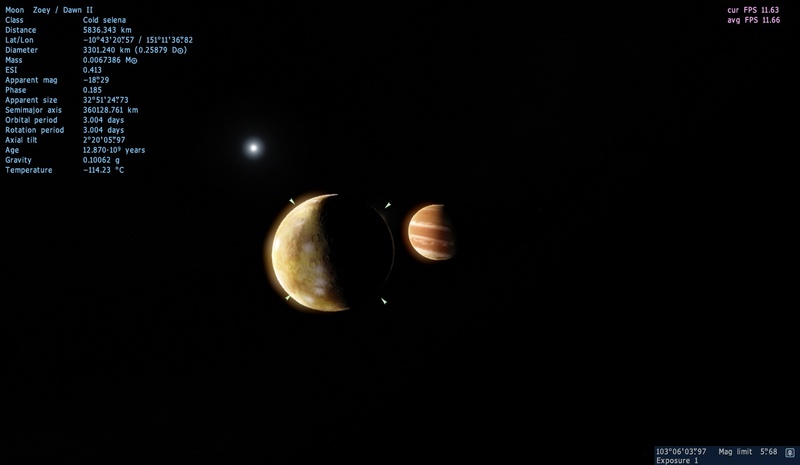 Very nice system, also have add artificial satellites. 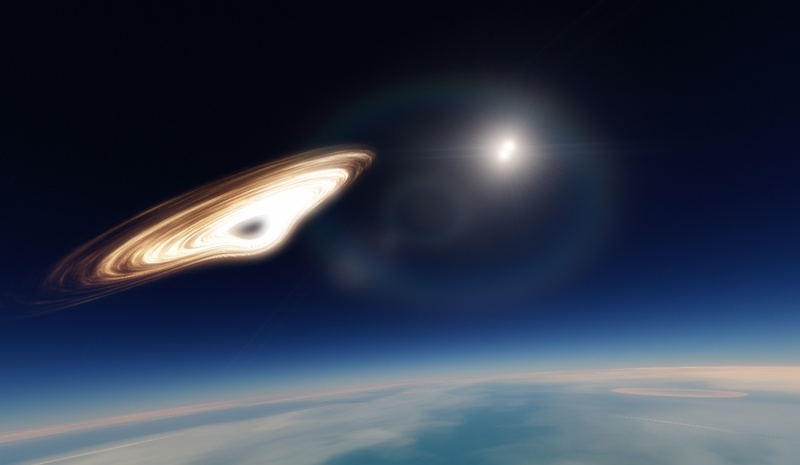 Nice system, I love, binary system over a black hole with accretion disk. 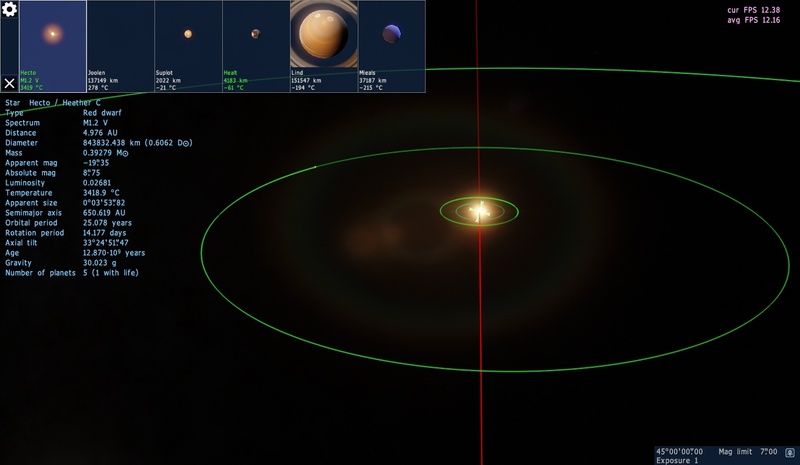 I will post more information on my solar system today. I forgot to post yesterday. (Or I was just lazy which I am.) I have also updated my files. 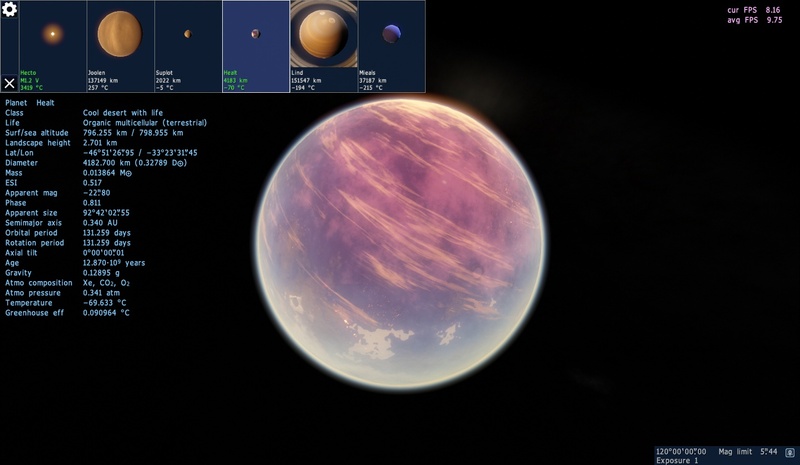 The system had a bug or should a I say a mistake in the exporting process that caused the gas giant go be in the sun and for the desert moon of aforementioned gas giant to have weird colors. 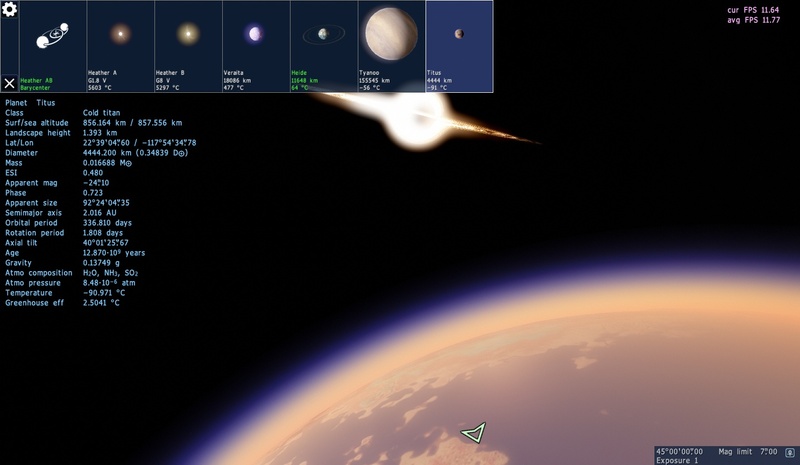 I will be posting about three planets and one moon. Up in the top right we have Palmyra. Palmyra is the closest planet to the sun. It is a rocky selena. Simple as that. Is is a beautiful planet. You will begin to see that everything in my system is focused on beauty even if it is not entirely realistic. I'm thinking f putting little settlements on there like mining colonies on Guroon. Next up we have Ahurei! This is the pinnacle of my system and the planet I have done the most research. I have actually put some cold hard science behind this one. 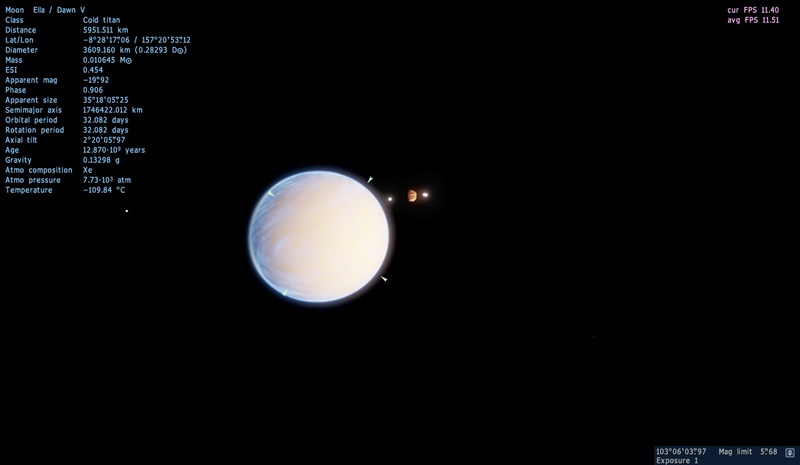 This is Ahurei (currently) the third planet behind Hypatia in the system. 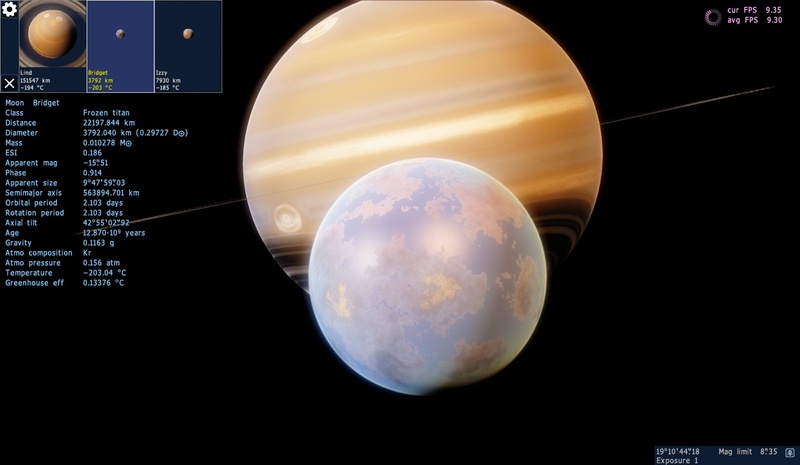 The moon is a Titan like moon with a Titan atmosphere. I am most proud of this moon and how much I have researched it. On this moon is exotic multicellular life. I have yet to decide whether they should be carbon, phosphorous or sulfur based life as each would work just fine. The aliens breathe a mix of carbon monoxide, ammonia, hydrogen cyanide, formaldehyde, nitrogen, and formamide with a trace of phosphates and sulfates. The amount of formamide and formaldehyde on the moon is in chemical equilibrium. They drink from oceans of mainly formamide with a little ammonia, formaldehyde, carbon and some phosphates and sulfates mixed in. The oceans are red because of impurities. The moon is warm. This keeps most of the liquid on the surface from ever freezing. Obviously this I scrapped because it didn't look as pretty so there is ice on the planet but from a purely scientific standpoint there shouldn't and if there was all life would die because the ice would freeze upwards. 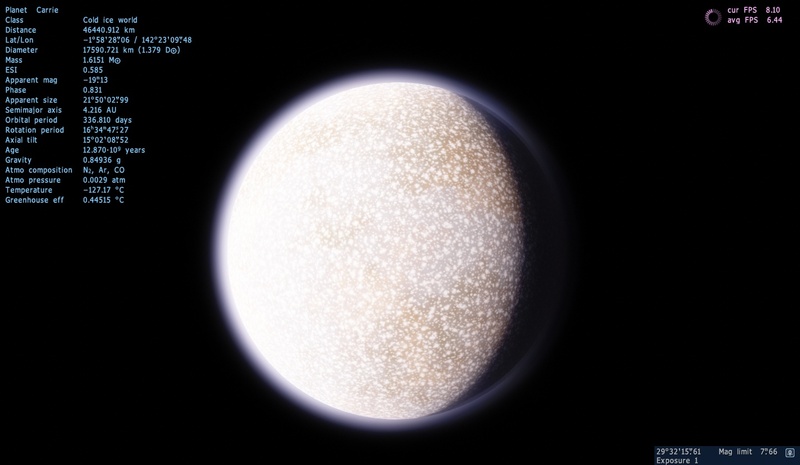 The heat is cased by the immense amount of greenhouse gasses in the moons atmosphere such as carbon monoxide and the extreme internal tidal heating and heating from its creation. The moon is extremely volcanically active. The entire moon is constantly in a chemical reaction that continues to sustain itself. Even the volcanoes spew out carbon monoxide, phosphates and sulfates. Anyway, the inside of the moon is mainly comprised of carbon and diamonds and a little bit of phosphates and sulfates. Near the rocky mantle the carbon is molten. 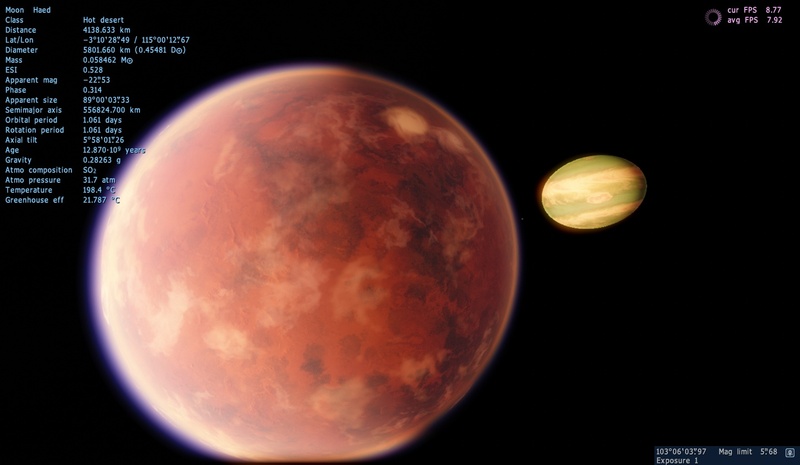 The moon has a thick but low Titan like atmosphere with a pressure of 1.2 atmospheres. The gravity on the moon is pretty high considering its size at 0.8 G's. It has an axial tilt of 19 degrees. The creatures on the moon are mainly tribal. They have different religions, cultures, artistic values, sexual orientations, reproduction methods, and more. The humans were so nice that they put a second MPPSS around Ahurei to protect it from asteroid because t also had a rough past with asteroids. Its a miracle they survived until the humans got there. The aliens allowed the humans to mine their asteroids and put it around their planet for protection but they refused help from the AI. However, humans have told the aliens that they reserve the right to do whatever they like with the AI as long as it isn't used for evil when they become intelligent enough. The aliens do not speak English they used the AI as a translator. I could spend all day talking about the society and life on this planet but I will spare you. They life in massive villages. They are bio luminescent and they have invented fire and use it to light their villages. They are on the brink of electricity and the like. They have advanced in other fields more quickly such as math. Okay! Moving on! 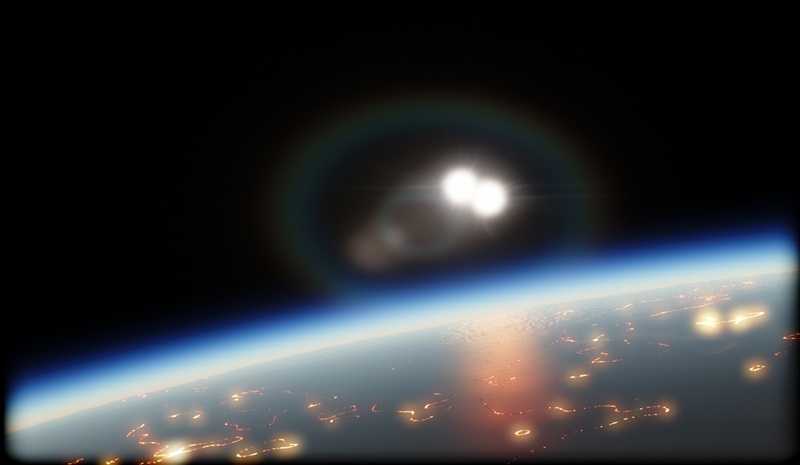 If you would like me to explain more about the aliens then simply ask and I will post about it or I will post about it when I update my system. 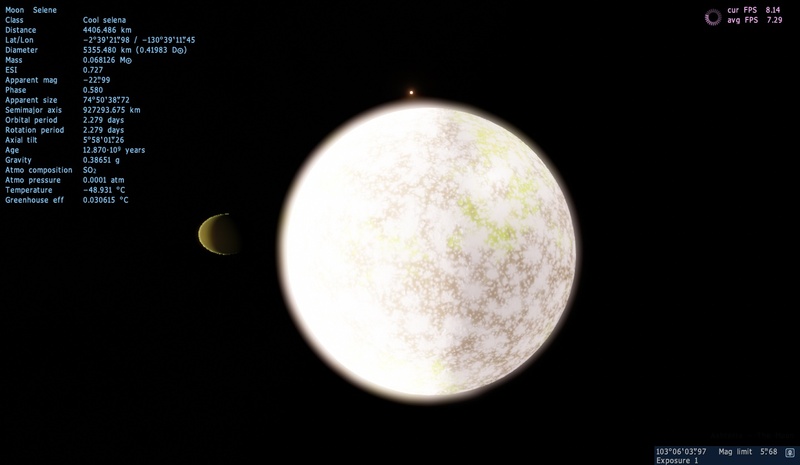 Ahurei was originally a moon of Gergasi but because of its size it didn't look as pretty. So now the moon is just magically warm and has magic tidal heating. Perhaps i should have a large moon or a few asteroids orbiting it. Asteroids would pose a threat though. The orbiting asteroids could have also been the lifeline of the planet in the past though They could've eaten incoming asteroids. Orbiting asteroids also had an impact on their advancements in science. Next up we have Gergasi. 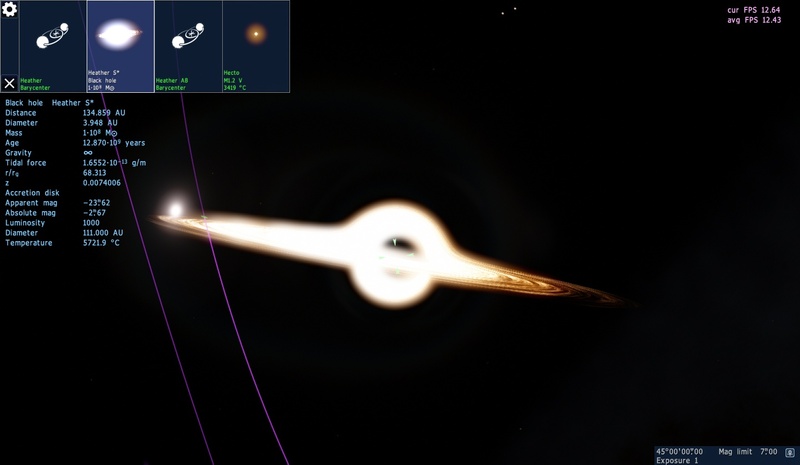 This is Gergasi it is the fourth in my solar system. 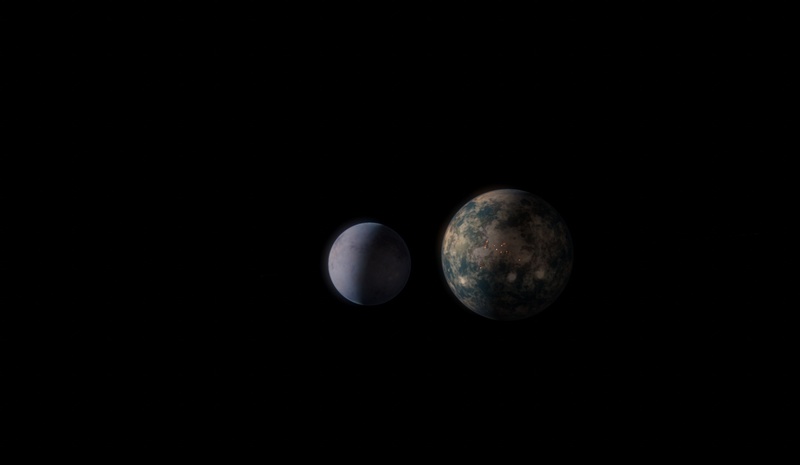 (It is currently the final planet. I will be adding more in the future.) 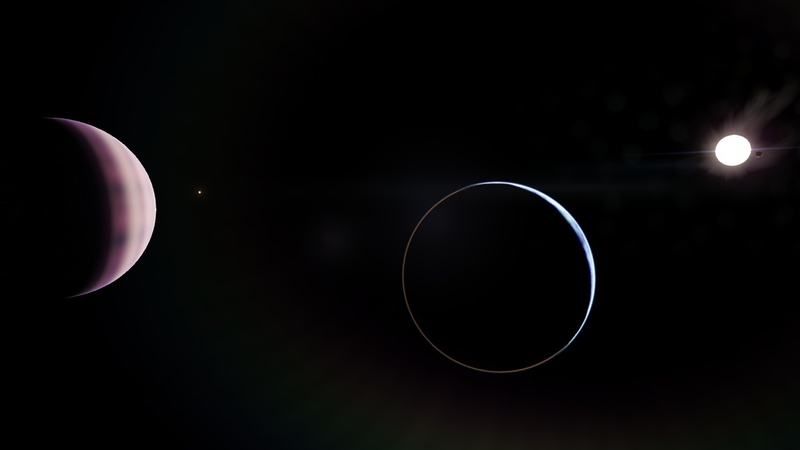 The planet is a dark and ominous gas giant. From my sources the gaseous planet should have an abundance of sodium, potassium and titanium oxide. 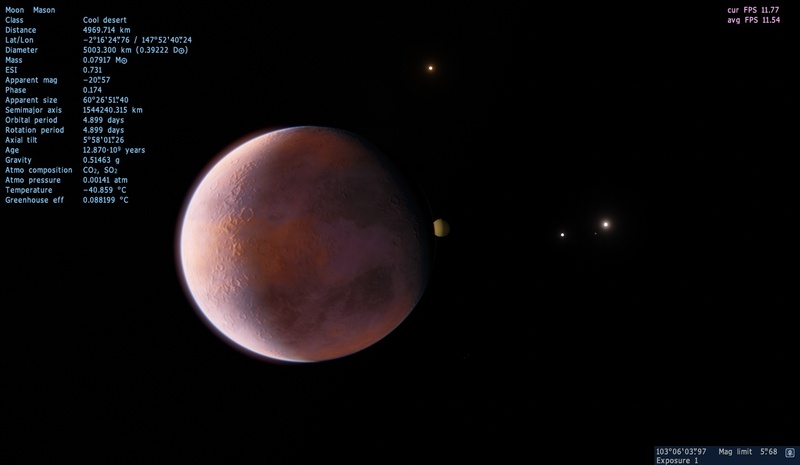 The planet currently has five moons only three of which are shown here. 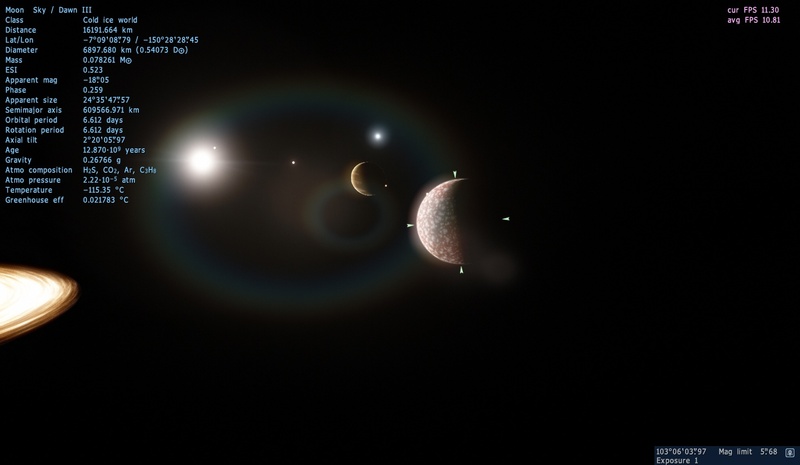 Four of the moons are captured asteroids from the asteroid belt it resides in. The fifth moon is called Manova. The planet is, obviously, very dark and because of this it is warm despite its distance from the sun. This is caused because it absorbs most of the light and heat the sun throws at it. 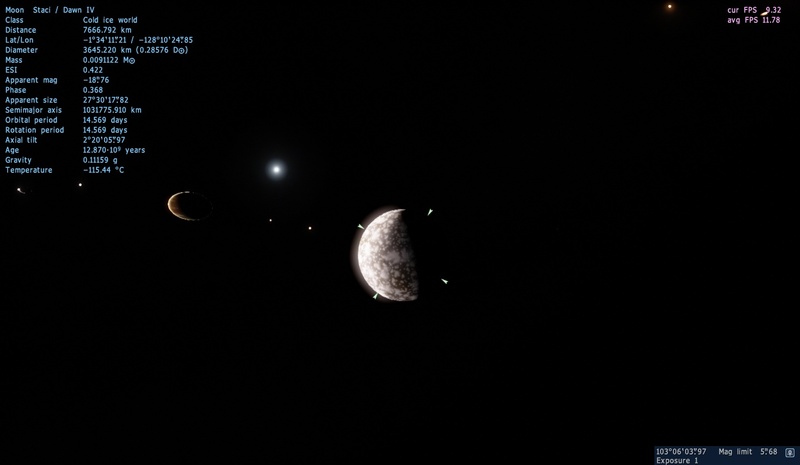 (I will add one or two more moons to this planet. 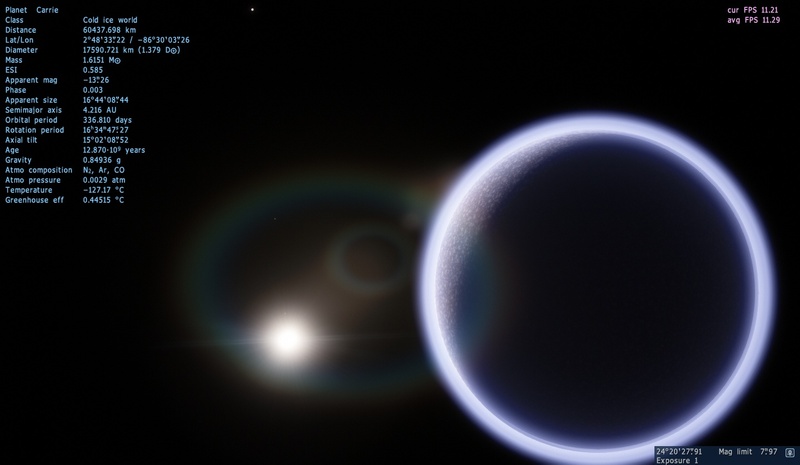 Probably an Ice World or an Oceania or a Titan) So this planet is just really dark. Next up we have Manova. 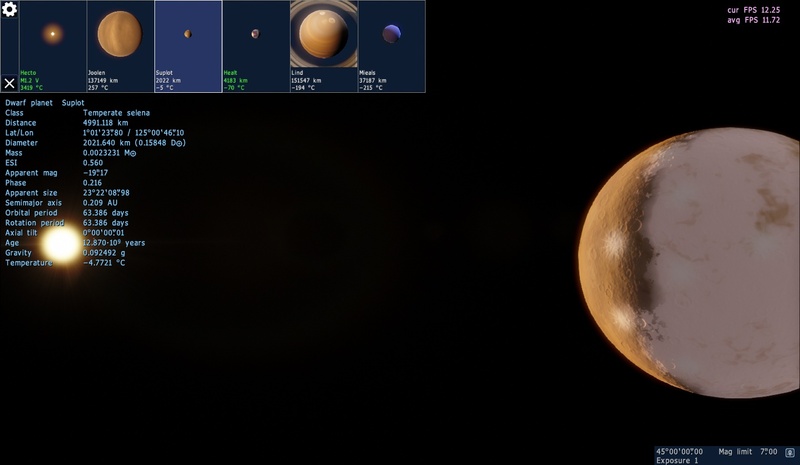 This is Manova, the third planet in the solar system. 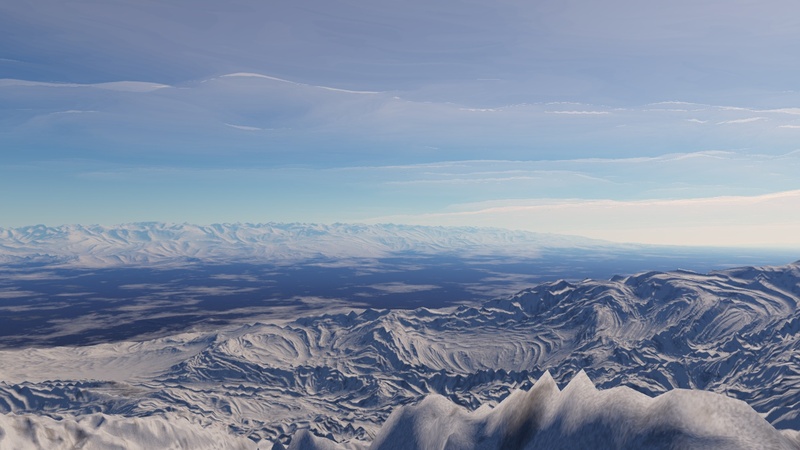 It is a cold and icy desert planet. The most prominent features on the planets surface are craters and large and wispy dunes and Venusian landscapes. The planets surface is covered in an excess amount of craters. For reasons unknown the planet has extremely fast wind which have shaped the landscape. Several theories have come across with the one gaining the most traction being that it is caused by tidal forces. 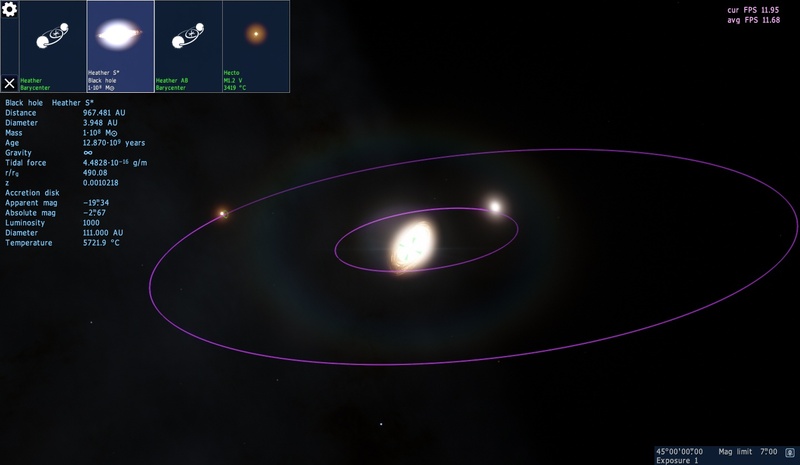 The planet has three asteroid dwarf moons each of which were captured from the asteroid belt. 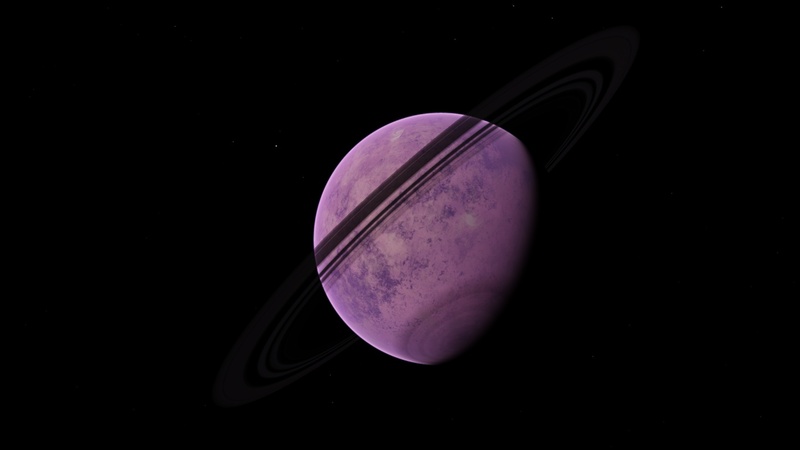 The planet has a thick and crushing purple atmosphere with a pressure of 3.87 atmospheres. 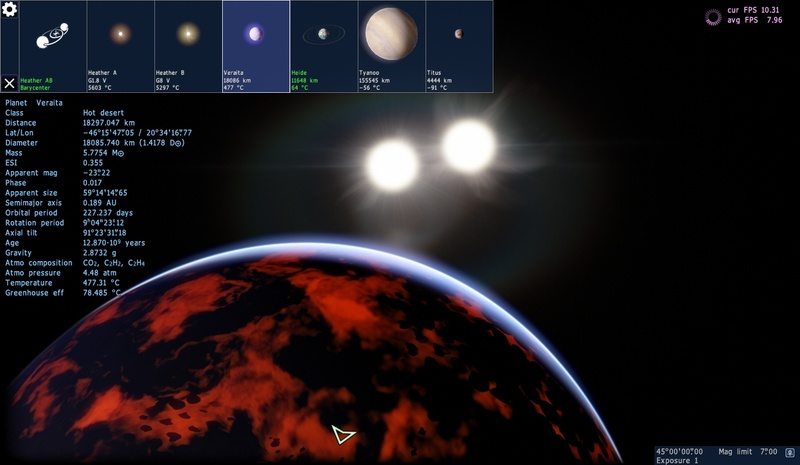 The planet has a slightly higher gravity at around 1.1 G's. The surface temperature is horribly cold. dudefinal, These are excellent. How long did it take to make this? On and off for a month. This is mainly procrastination :). Download the files and open the zip. The labels of the folders explain where everything goes. In my installation I have different options. (If you have no other addons.) Go into the config folder in the zip and choose your universe.cfg and put that into you SE folder. Do the same for the textures/palettes/ folder. I have found that not putting my stuff from system/shaders/ and models/atmospheres/ into the pak file doesn't work so put them in the pak file. 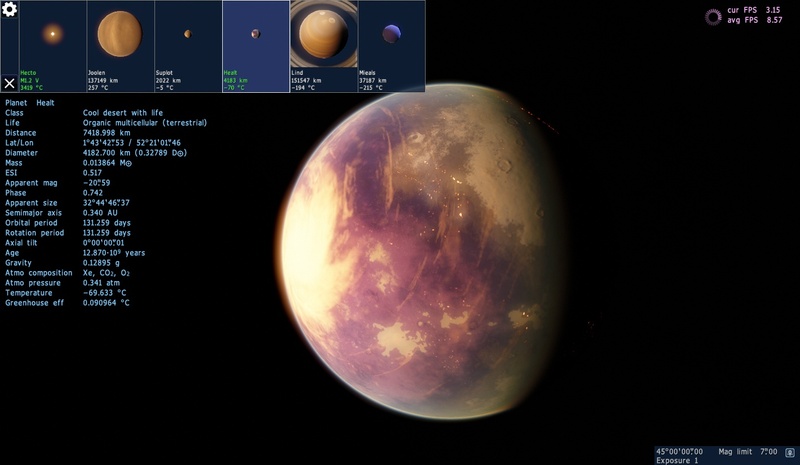 Put the textures/planets/ files into textures/planets/. 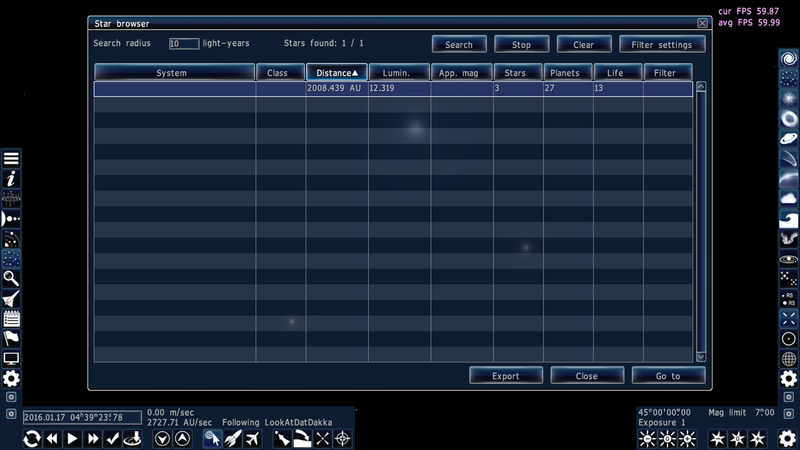 Put the catalogs/planets/ file into catalogs/planets/ and so on. If this was not a sufficient explanation. (I'm not good at explaining things.) I'm sure you can figure it out.